Its been a while since LAX and Doctor’s Advocate. Now The Game is back in full gear with The R.E.D. Album. In my opinion, The Game is one of the few last great rappers of the genre. Underrated doesn’t even describe it. Game teams up with top tear talent on this record, not to mention his affiliation with Dr. Dre and Aftermath Entertainment. It’s the first time back in with the group since 2006. With all that, The R.E.D Album is top notch and here’s why. This record is full of personal, emotional stories. Stories about record label drama like the track The City. Tons of true, honest lyrics as The Game proves that good rappers are still around in the main stream. Some of the best lyrics I’ve heard on a rap record in a long time. It’s rare to hear this kind of material in the main stream. To many fake artists out there in the main stream. The production is perfect right to the tee. With names like Cool & Dre, DJ Khalil, DJ Premier, and Veteran Producer Pharrell Williams all give their special touches to each of their respective tracks. Cool & Dre produce one of the stand out tracks on the record. “Red Nation”, featuring the sample of Kernkraft 400’s hit trance/dance hit “Zombie Nation.” This song hits hard, and is one of my favorite tracks on the record. Another stand out would be the deep track “Ricky”, which features samples of the film Boyz n the Hood. Tons of collaborations with the elite artists in the world of Hip-Hop and Rap. Artists like Snoop Dogg, Drake, Lil Wayne, Rick Ross, Young Jeezy, and Nelly Furtado just to name a few. There is a little bit of everything on this record to please the fans of the genre. 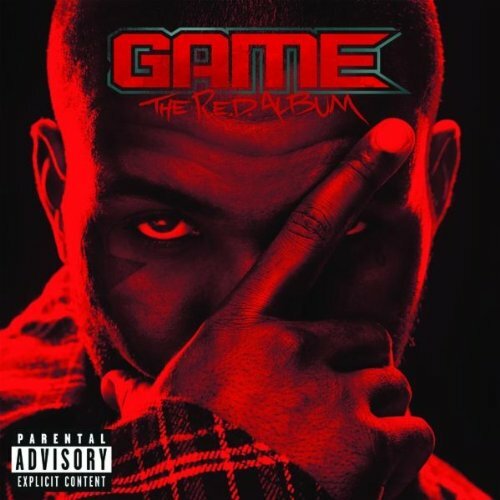 In the end, The Game and his team released a phenomenal album that has plenty of replay value. I really recommend this to anybody who loves real rap. Three years in the making, joining back up with Aftermath Entertainment proved to be all worth it. The Game is back!